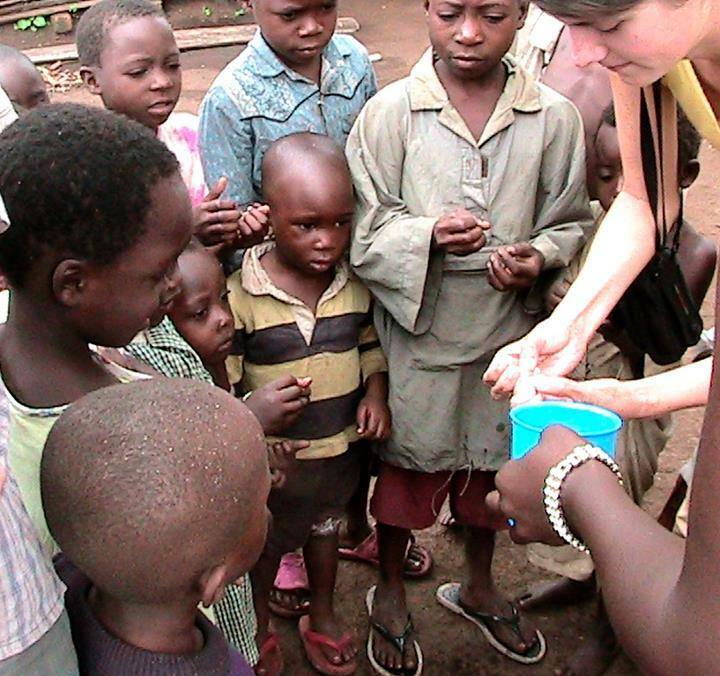 Since January, 2005. we’ve hosted over 900 volunteers from all over the world. Here’s what they did and what they had to say about it. 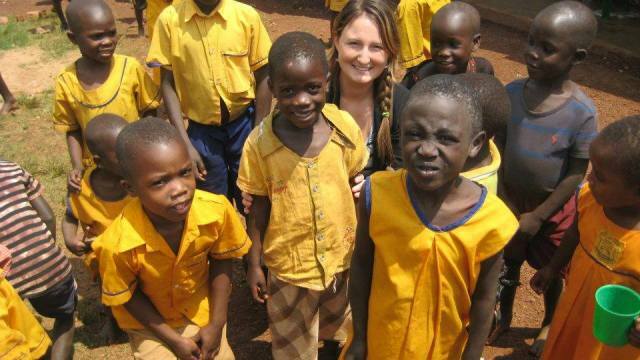 “What really enticed me to join this program was the opportunity to dip my feet into a variety of areas – I really liked the program description of it being a community-based organisation by which you could really immerse yourself in real Ugandan life and work with members of the local community – whether it be through working in a small school, working with women’s groups or lending a hand in a health clinic. All these sounded like awesome opportunities to me and I was ready for the challenge! 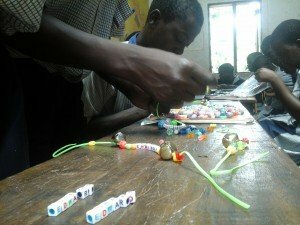 “For 2 months I taught P5-P7 from 11am to 3-3:30pm in the village of Kitoola. It was an amazing experience. I was teaching lessons on English, Art, Science and Sport – with each class once during the week. The first week was tough getting used to no modern conveniences and finding out how much the kids understood me. I have many vivid memories of running Netball and Soccer games after lunch on a pitch that was uneven with goats and cows as spectators, luckily I only slipped once on a cow pat. The kids were very welcoming and enjoyed the novelty of a foreign teacher (Muzungu). “I had daily involvement with approximately 10 children (at the boarding school). The school schedule was very flexible. The children tended to their daily chores and I assisted in any way I could, although I was proven very inadequate in many areas (peeling potatoes with dull knives, hoeing the gardens, carrying bundles on my head!). The younger children played most of the day. I was able to bring with me some supplies and toys (coloring books, games, beads, whistles) which they loved. “I was placed at a local primary school and day care. While there, I taught some English lessons for the Primary 7 upcoming exam, read aloud picture books, taught some world studies on continents and various cultures, shared songs/dances/active games, played soccer, helped in the garden and shared love with every one there! Most of the activities organically came about, I prepared less and just brought materials/books I knew I would use. We made paper airplanes, origami, used stickers, colored, played tic tac toe and used alphabet matching cards. 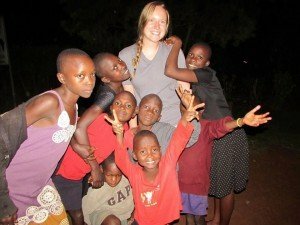 “I taught courses on HIV/AIDs, domestic violence, hygiene, parasites, nutrition, family planning, breastfeeding, and answered general health questions. This helped me solidify all the information I learned in University and gave me more confidence in my ability to answer questions on my feet and give accurate medical information. This was a challenge as I did not speak the language and so it made reactions harder to gauge, but it was almost more beneficial to me and the crowd as I had to learn to read the audience without the benefit of having a language in common. 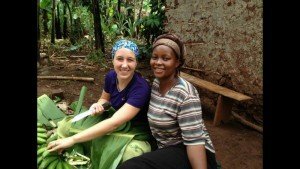 “I signed up for the “Agriculture and Conservation Project” but my volunteering was not as straightforward as picking up a shovel and being shown what to do. I was given time with another volunteer to brainstorm on things we could improve at our designated school. We formed dozens of ideas for the farm, the soccer pitch, the kitchen, the garden, school beautification and education. Then we just went for it and started digging. We dug out the foundation of an old building to plant grass, dispersed rubble to divert rainwater and to build a ramp for walking, cleared out land for the garden, used broken bricks to improve a pathway and border the garden, planted seeds, taught classes on environmental issues. Tasks changed day to day. 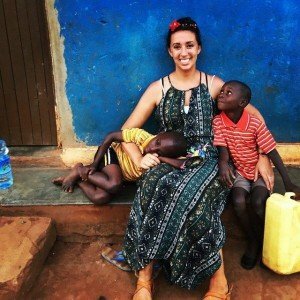 “Volunteering for The Real Uganda was an amazing experience. 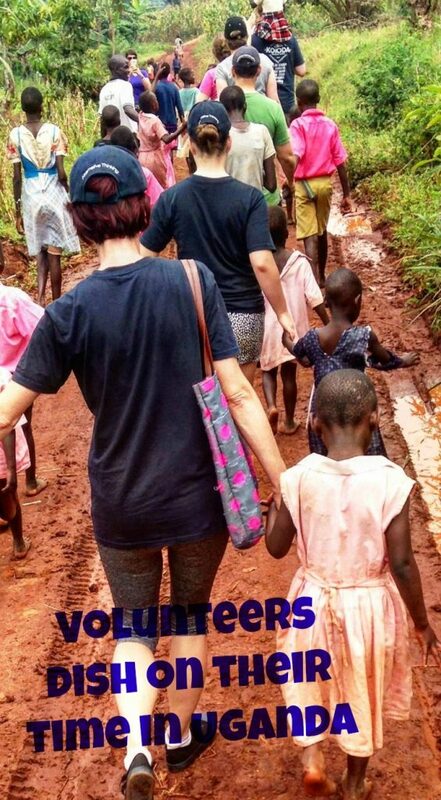 The program allows volunteers to work with local children, women and men, doing various things. I signed on to teach at a local school. 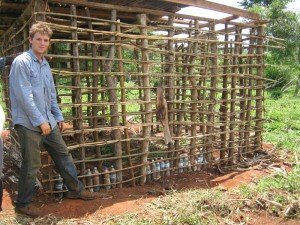 Teaching in Uganda was challenging in the beginning due to lack of supplies and resources; however, once you adapted to using what you had, it was a walk in the park! The language barrier will definitely be a shock, but you’ll learn methods to make it work. If you have ideas of what you would like to do with your students, make sure you bring supplies. “I spent two months in Najjembbe teaching at the Christian Heritage school. This was a primary school for the children in the village. For teaching I focused on reading and writing improvement. This involved daily reading activities and writing activities. I would usually involve this with a creative activity also, such as painting, drawing, using natural resources such as leaves etc. 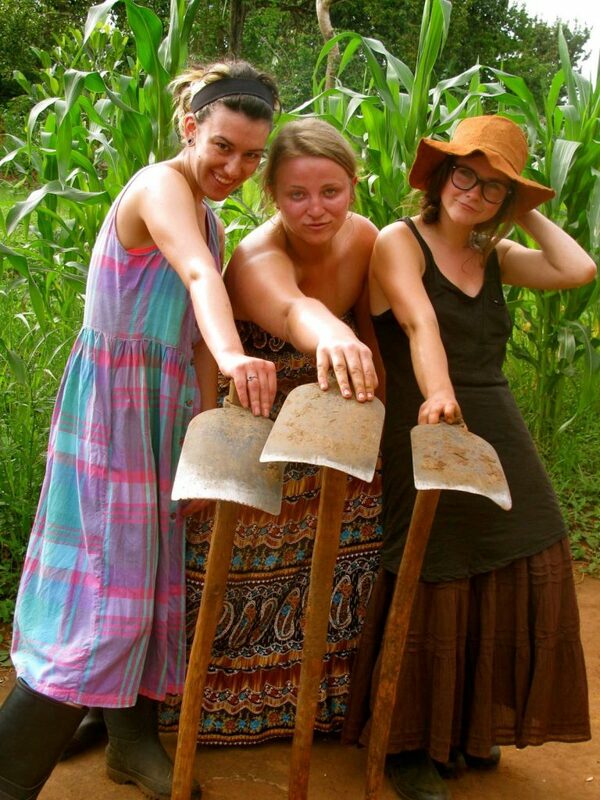 “We worked in the Organic Farming project. We dug and maintained demonstration gardens that were used to feed the children and staff (and us!) at the school. It was awesome to see how big the beans we planted in the first few days were by the time we left – our first day there, there were only weeds. In addition to farming, we sanded and painted the walls of a future computer lab. 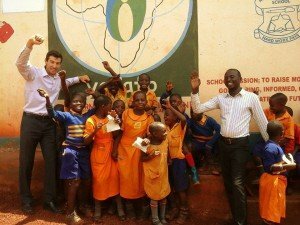 It was really cool to see that we were making a sustainable impact within the community – the key thing that drew me to the project in the first place. 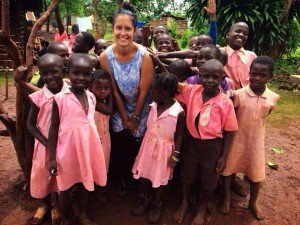 While I love children and would normally have been drawn to an orphanage project, I wanted to leave something tangible in Uganda after I left – and I hope those beans tasted lovely. “During my time with the Public Health Improvement program, I spent each week travelling to a different remote village and delivering educational talks on topics including sanitation and hygiene, HIV/AIDS, family planning, and economic empowerment. We covered the basics of these issues, so while background research is recommended, you don’t need to stress out if you’re not an expert in any of these subjects. I had a translator during each session. Most people in the villages do not speak English. Normally, we would be in the village Monday evening through Friday and have 2 educational sessions per day. I was responsible for coming up with the content I contributed to each discussion. 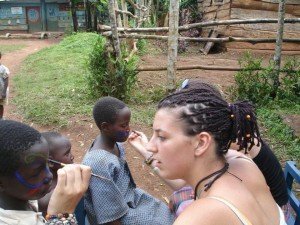 “Over the two months volunteering, I was the P4 class teacher for English, Mathematics, Science, Reading and Art, of which the first three formed the major focus of my experience with the children. Due to lack of teachers it was not unusual at times to supervise other classes. I was usually at the school from 8.30am until 4:40pm Monday to Friday, with breaks in my day.